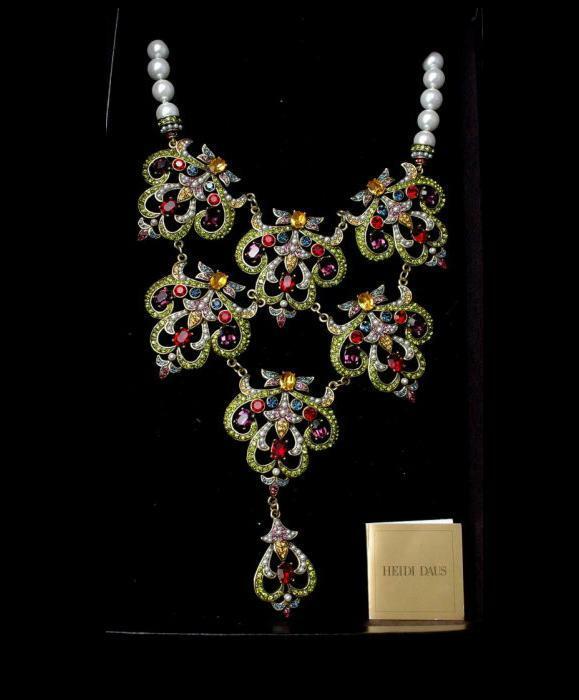 Heidi Daus Jewels & Pearls Exceptional Outstanding Show Stopper Multi Colored Stone and Pearl Bib Necklace. It is new in box with certification card. The width is 5.5". 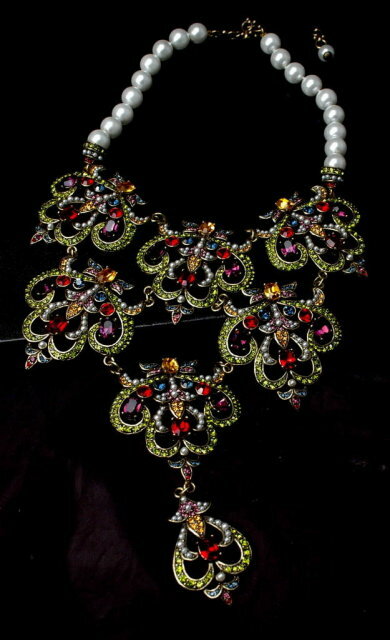 The maximum drop length is 11.5" however this can be shorted as there is 4" of extra chain that extends beyond the pearls. This style as in much of Heidi Daus designs re reminiscent of those famous design from Miriam Haskell. 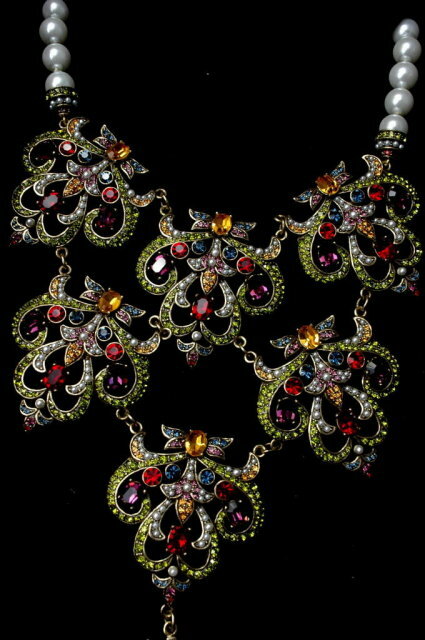 I am almost tempted to call this necklace a "Fruit Salad" because of the array of colors here intertwined with seed pears. It is so classy and elegant like something you'd see on the "Red Carpet". The condition is excellent. 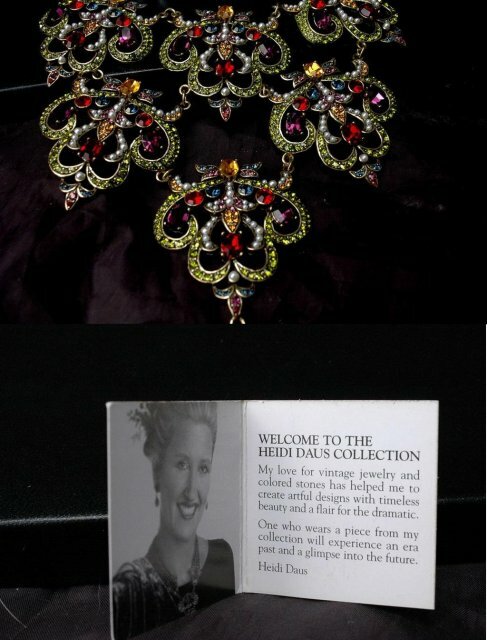 Items Similar To "Heidi Daus Elegant Jewels & Pearls Necklace"